Fancy being transported to a chalet in the Alps without braving the slopes? Verebier Ski resort have actually made this possible with Jimmy’s at The Lodge, Clapham. 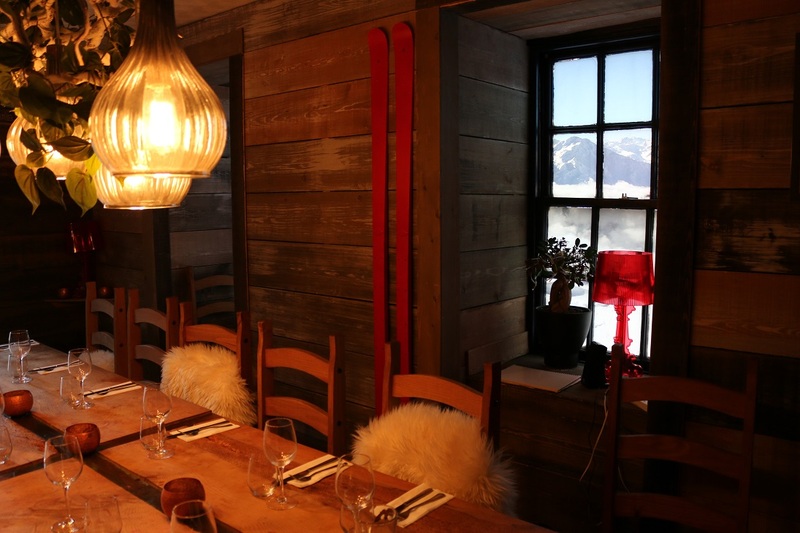 You can sip cocktails in this nostalgic, cosy, Swiss inspired wooden lodge, scattered with fur throws, and skis. Head chef, Jimmy Garcia has created a hearty Alpine menu. The Burrata Salad starter, sprinkled with hazelnut crumb was a rainbow of colours and an explosion of flavours. 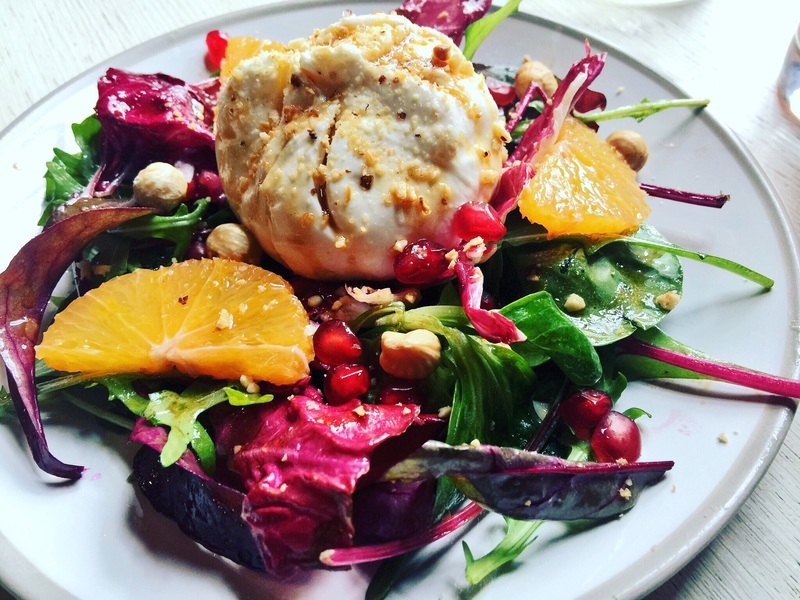 It’s fresh and summery with a perfect balance of creamy mozzarella with bursts of flavour from Blood oranges and pomegranate. 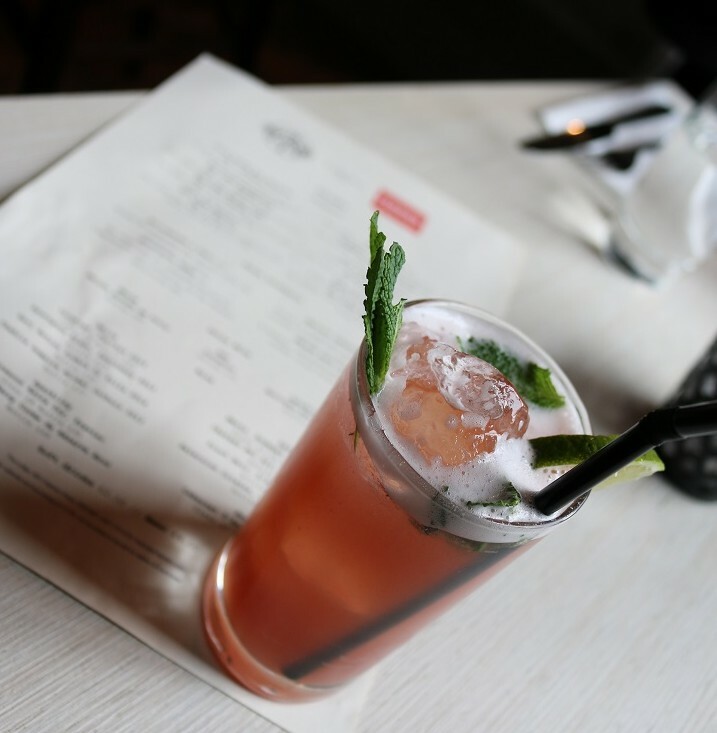 There’s a great vibe on a Sunday with “Bottomless Bubbles,” making it the perfect spot for a Sunday Roast. 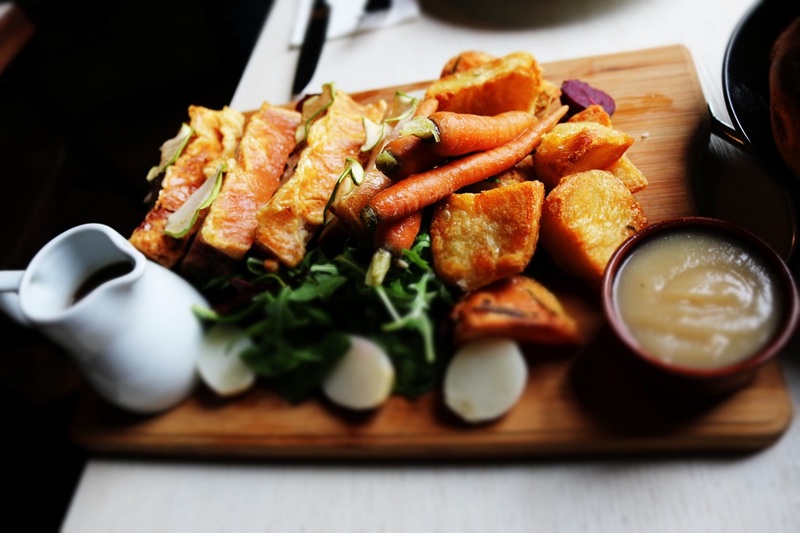 The pork belly was succulent and topped with a crispy crackling, served on a platter, scattered with roast potatoes, root vegetables and apple crisps. The giant Yorkshire puddings with rich, beef gravy were really indulgent. The accompanying pear and cardamom purée is pure genius, with flavours that truly tantalises the taste buds. 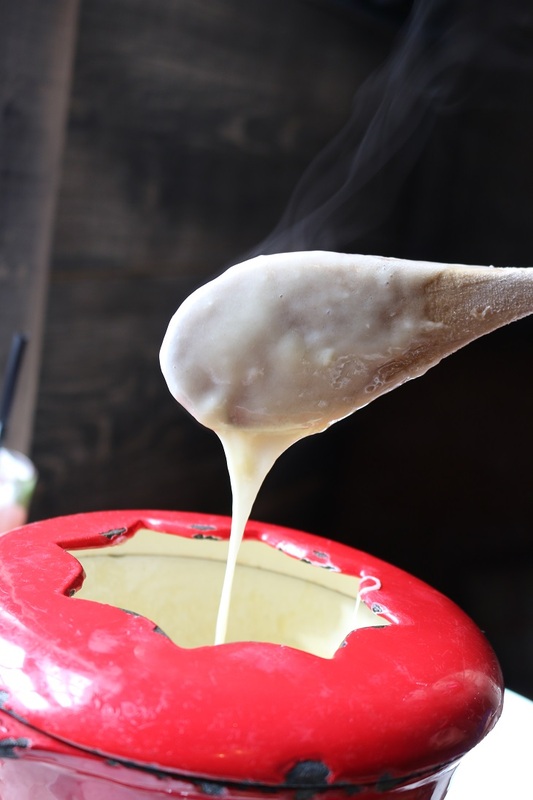 We couldn’t resist trying the signature fondue. And were ever so glad we did. There’s something heartwarming about dipping buttery potatoes and bread in a bubbling pot of Swiss cheese. 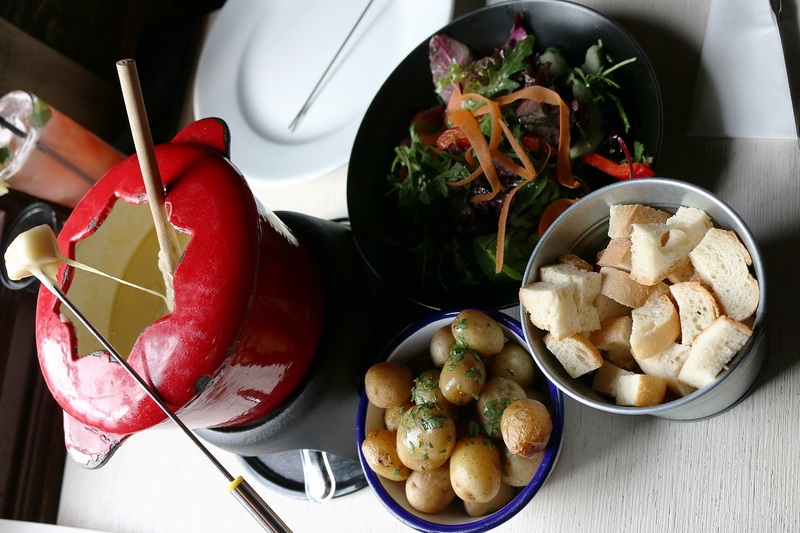 The fondue is fun and perfect for sharing, unless you’re a bit clumsy- as it can quickly turn from dipping to fishing for lost potatoes. 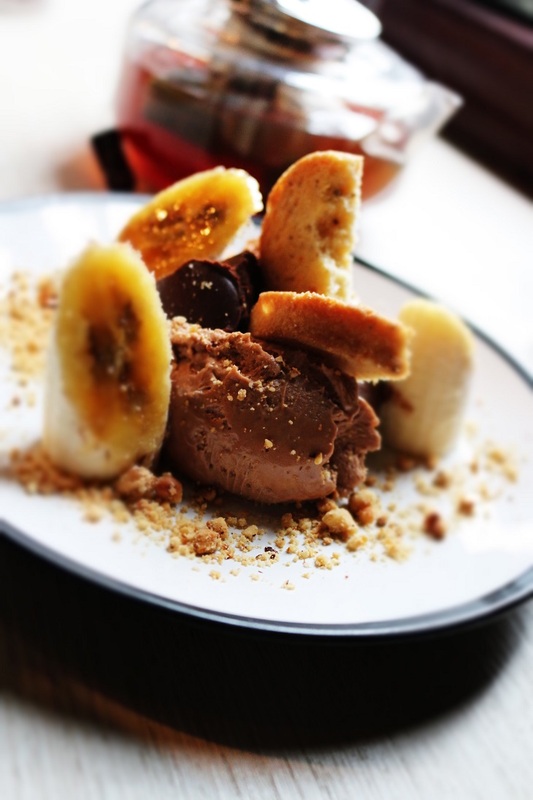 The Jivara chocolate mousse was delightfully light and airy, and served with sweet flambéed bananas, and a bitter, sweet ganache. The ice cream factory is actually a dream come true. Even the little girl singing “I want ice-cream” looked on in stunned silence, as the ice cream arrived with a rather impressive showcase of toppings. 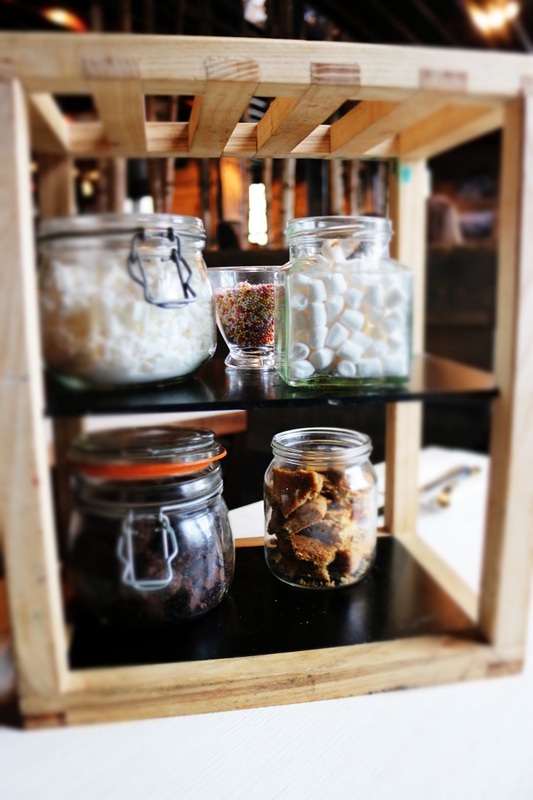 With endless supplies of meringue, brownies, cookies, hundreds and thousands and marshmallow, what more can you ask for. Celebrate a special birthday in style in the Alpine themed private dining room, which even boasts a view of the Alps. 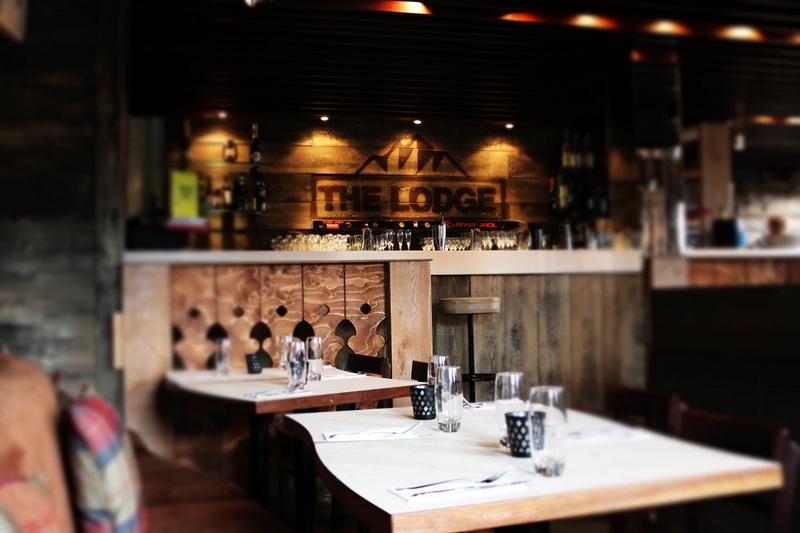 The Lodge is an extraordinary dining experience with exceptional food, service and ambience. It’s definitely a hot spot in Clapham. *This is a sponsored post however all views and images belong to Concierge Angel.